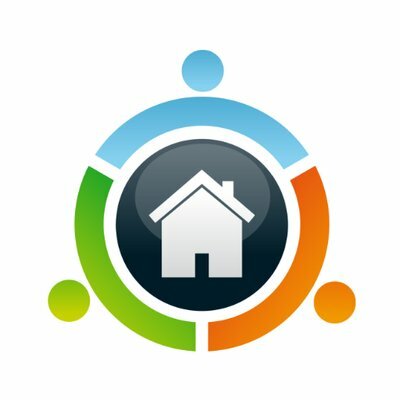 We have submitted the ImperiHome SmartApp (Plugin) 4 months ago - since them, no news or feedback on on when it will get published ? How can we make it moving forward ? ImperiHome is the first platform centralizing Smart Home devices and Smart City services in a single mobile App. Try it with ImperiHome Free or ImperiHome Premium. As outlined in the first post in this thread, we are not accepting new (non-partner) submissions at this time. Is there any chance you’d consider releasing your ST SmartApp for Imperihome as Open Source? Most of us are very familiar with installing custom SmartApps in the ST IDE for our accounts. This would at least get you some feedback on how well your product works with SmartThings from a group of people that are very knowledgeable on the platform. You might also generate some revenue from the App/Play Store sales! Just randomly wondering if you guys have a timeline to resume evaluations. It’s been a few months already. We have some stuff coming up that is exciting. All I’ll say right now is keep a look out for news at the next few developer/tech conferences. It’s been a few more months, what’s going on? What’s this mean in terms of ImperiHome? Is this an App that was submitted? I am not familiar. From what I’ve read in this thread it looks like it was submitted in April. So…over a year later and where do we stand on this? I have thousands of dollars invested around ST and would like to purchase some more stuff, but have stopped because developers cannot integrate anymore. I am sure you have some grand plan, but you are taking way too long to share. I am real worried about the new changes coming. I have not been told to upgrade to the new app yet but I can tell you that 90% of my devices and smart apps are custom built by myself and a few others. If custom isn’t supported going forward my entire automated home and work systems will be offline. I too have thousands invested. I will have to find a new hub to support and start all over if this happens. It has be concerned. I don’t have more information than you, but I’m pretty sure it will be possible to continue to have custom devices & apps. It’s already available if you want to build in-cloud devices or in-cloud apps. It’s already available if you want to build in-cloud devices or in-cloud apps. That’s good to hear. That’s basically what they have now right. You can only build custom DH and SA for cloud side not local hub. Of course I will believe it when I see it working in the new app. Little faith based on my time served with ST, haha. Custom smart apps already work in the new app. Just came across this thread. A little confused, does this mean our favourite smart apps like WebCoRE and stuff might be effected? or is it only for new Smart Apps? So, I am assuming that every smart app originally needs to be approved by ST and this is something they are stopping? so what happens to the already approved ones? From what I know, apps in WebCoRE won’t be affected. I suspect there will be easier way to create custom apps than WebCoRE, but I’m pretty sure they will continue to work for a long time. Is it just me but we are a year on and still the new api and dev areas are not released??? Everything that’s “coming soon” usually takes years or doesn’t materialize.